I’m holding out waiting when it hits online so I can download it and listen to it with my earbuds every note and sound the way it was meant to be …. However I did try and catch a listen however it has been removed and I will wait until it is released. 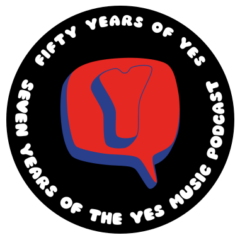 I like all Yes fans would love to have all the members back in the band but let us remember that this is more than just music this is their livelihood and as far as I’m concerned who ever is in the band at any given time will still be the best Yes period.. So here I sit with full anticipation knowing full well that it’s all in a matter of time! In some ways I wish I hadn’t heard it yet – but I did and I love it. Like you I can’t wait for July! Thanks for the comment! I also heard “together in electric dreams”‘ Kevin 🙂 it’s very interesting to hear your views! I haven’t heard it, did you remove the link to that dodgy mp3 file? Anyway, while I’m not at all excited about this new album, I really enjoyed your enthusiastic review of the song. I look forward to your further thoughts when the album comes out. Thanks Jeremy. Great to know my enthusiasm comes over – that’s the idea! Just listened to the excerpt on the official website – sounds like a Yessong to me! I think so but I know it’s not a universal opinion – was it ever for any album? I found a clip of it. Jon Davison has a remarkable voice but it sounds like a pastiche of Yes, the keyboard sounds very cheesy. Perhaps the rest of the song gets better. The clip doesn’t do it justice. I’ve found it improves with repeated listening. I can understand what you say though…fascinating to hear the rest of the album when it arrives! Thanks for the comment, Jeremy.